You are here: Home > What are Ratchet Straps Made Of? Because ratchet straps are used for trailers, interior van trailers (logistic straps for L-track or E-track systems), moving trucks, and many other types of vehicles that haul bulky or heavy cargo, all of our ratchet straps are made of high quality, industrial grade webbing. Ratchet straps are typically made from a polyester fabric, which is strong, durable, and has very little stretch to keep large loads properly secured. Polyester webbing also resists damaging UV rays and most common chemicals, and because it absorbs very little water, it is resistant to mildew, mold, rotting, and shrinkage. If you need a ratchet strap with stretch, nylon webbing can be used. Call us about custom ratchet straps, we can create a nylon ratchet strap built to your specifications. You can also purchase nylon webbing and create your own straps by adding your own tie down hardware. All of our ratchet strap listings include break strength information for both the webbing and the ratchet assembly. We also calculate the working load limit (WLL) on our ratchet straps. The WLL is the maximum load which should be applied to the securing devices, even when the straps are in new condition. For additional industry key terms, see the Glossary on our website. The WLL is computed by determining 1/3 of the break strength of the weakest component (either the webbing or the hardware) being used. 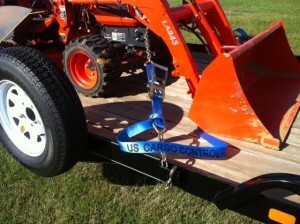 For example, a ratchet strap that has a web break strength of 12,000 lbs. and an assembly break strength of 10,000 lbs. will have a WLL of 3,333 lbs., which is 1/3 of 10,000 lbs. 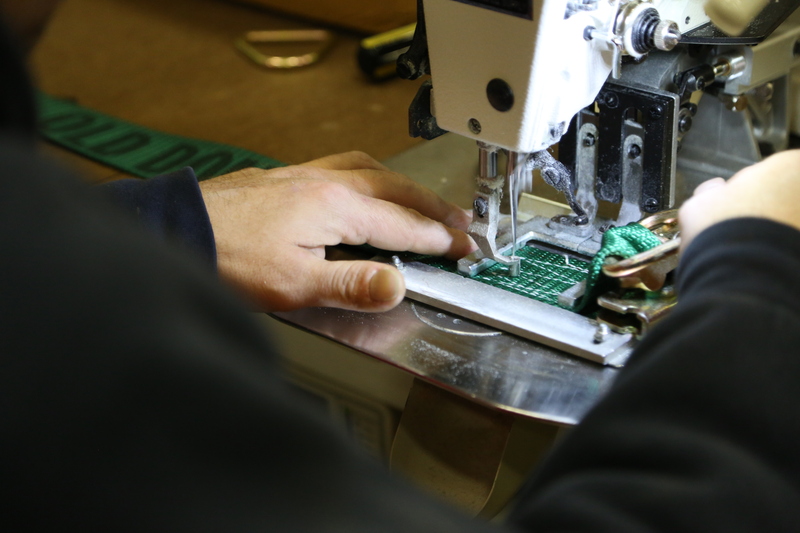 If you have a question about our products, shipping, prices, or custom orders, give us a call at 866-444-9990. We’re happy to help you with all of your cargo securing needs.